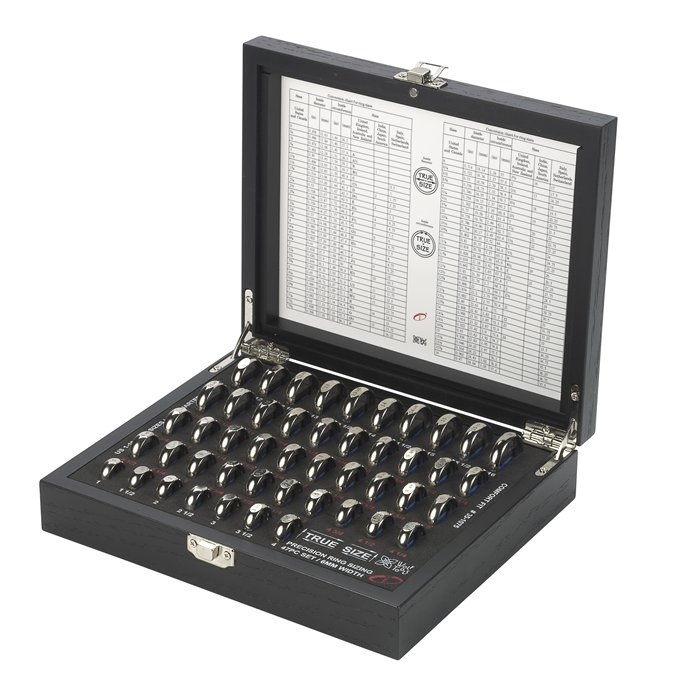 Manufactured by Ikohe to the design specifications of renowned tool maker Kate Wolf, the TRUE-SIZE set of precision calibrated ring sizers delivers consistent, dependable sizing. Whether you are designing new rings or resizing existing rings, this set reduces costly errors that can occur between measuring the size needed and producing that size in the end product--especially when partnered with the calibrated TRUE-SIZE aluminum ring stick and steel mandrel (available separately). 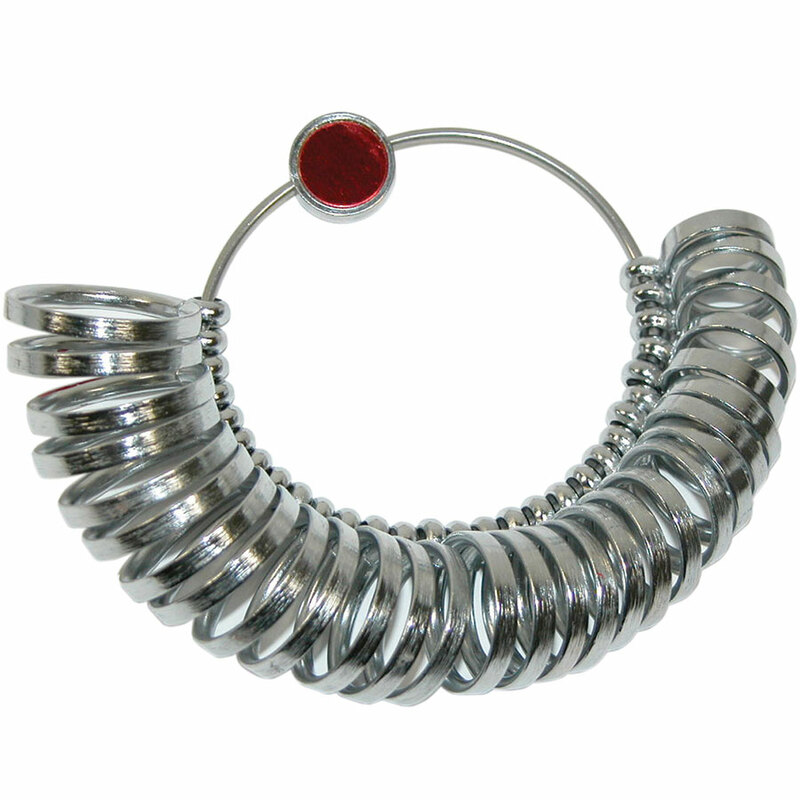 This set includes 47 Comfort Fit, 6mm-wide stainless steel bands in half-sizes for 1-16, quarter-sizes for 4-12. Sizes are laser-etched onto a flat spot on the exterior surface of each ring, making it easy to select the size you need. Comfort Fit bands have substantial weight and are rounded on the inside for a very comfortable fit. The set includes a wood-grain storage box with dual hinge closures. The flocked liner is marked for each ring size. A handy conversion chart is also attached inside the lid and features a variety of sizing systems.